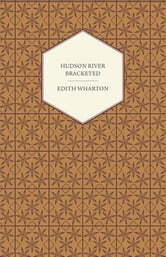 This early work by Edith Wharton was originally published in 1929 and we are now republishing it with a brand new introductory biography. 'Hudson River Bracketed' is a novel about a brilliant woman, Halo Spear, and an uneducated man, Vance Weston, who form a deep bond through literature. Edith Wharton was born in New York City in 1862. Wharton's first poems were published in Scribner’s Magazine. In 1891, the same publication printed the first of her many short stories, titled 'Mrs. Manstey’s View'. Over the next four decades, they – along with other well-established American publications such as Atlantic Monthly, Century Magazine, Harper’s and Lippincott’s – regularly published her work.